The fifth chapter of Mordenkainen’s Tome of Foes, releasing everywhere May 29, 2018 (already in local game shops), discusses the shortest and strangest folk in Dungeons and Dragons: Halflings and gnomes. 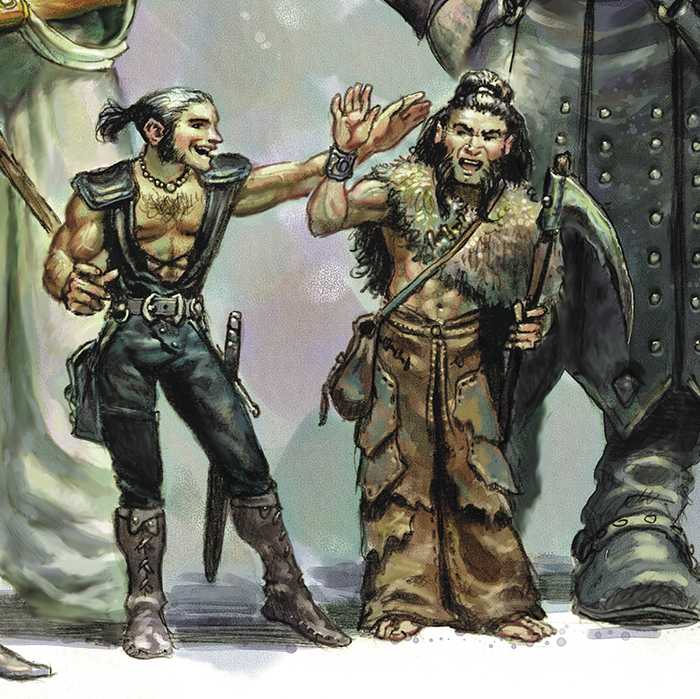 Today, in preparation for this fantastic book, we’ll be diving into the short folk’s history in D&D, their lore, and how to use them in your campaign as both a player and a dungeon master. Beware, this article is far shorter than normal, so pace yourself! The perception of halflings and gnomes is mixed. On one hand, halflings and gnomes have been popular races since the inception of Dungeons and Dragons, in their own unique ways. On the other hand, many folks fiercely oppose the use of these races. The origins of halflings, like many of D&D’s popular races, stem from Tolkien. In fact, halflings were meant to be called hobbits, but the creators of D&D started to use halfling as an alternative to hobbit for legal reasons. 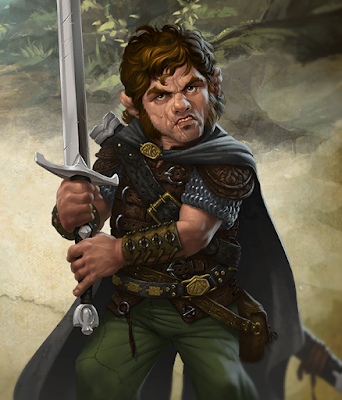 Halflings have been around since the beginning of D&D, and have not changed much. Halflings only have three true subraces: The stout halflings, who are hardier than regular halflings. It’s rumoured that they have dwarven ancestors. The lightfoot halflings, a folk that are easily able to disappear into shadows and sneak up a creaking staircase. The third and final halflings subrace are the ghostwise halflings, a race of tribalistic barbarians who strictly value family and home. Another variety of halfling does officially exist: The kender. People generally hate this subrace, though, mostly for its insane mechanical advantages and terrible innate personality. Kender are TINY and love to steal from anyone. Not too great for a party-based game. Gnomes have existed since first edition, but their culture has changed greatly. They began as intellectuals who would act as a midpoint between elves and dwarves. Then, in second edition, they were given a love of tricks and the arts. As the editions kept coming, gnomes gained more and more magical powers, such as the ability to speak with animals or craft tiny but powerful trinkets. 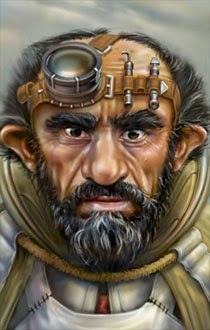 A plethora of gnomish subraces exist, such as: rock gnomes, tinker gnomes, forest gnomes, whisper gnomes, and, my favorite, the svirfneblin or deep gnomes. Each is inherently different, but keep the general fun-loving nature and intellect of the greater gnome race. As a dungeon master, think of most halflings as the stereotypically useless royal family, always getting stolen away, trampled over, or disregarded by the overarching villain of the story. As a player, understand that you are one of the few halflings courageous enough to leave a life of simplicity behind, and that makes you quirky enough. Unable to fight the coming orc horde, a village of halflings flees to a nearby human settlement. They try to hire the party to protect their crops, wooden structures, and livestock. A hot-headed halfling priest attempts to inspire his people by summoning an avatar of the race’s patron deity onto the Material Plane. His ritual backfires and he accidently brings an aspect of Lolth to his home. The greatest chef in the region is a halfling, but he’s recently been kidnapped by a gluttonous hill giant tribe. The ruling reagent, a lover of fine food, requests that the group rescue the chef from the giant’s meaty clutches. You are a member of a wealthy halfling farming family. However, displeased with the simplicity of your livestock life, you took up the art of adventure. This angered your closed-minded father, who wishes for no misfortune to come upon his farm or family -- that live with him. He has banished you from his lands, and threatened to dispose of you if you were to return. You were forced into the world of adventure when you accidently found a sentient shortsword. The blade seeks their original creator, and is using you as a medium to find him. You are a farmer trying to save your pasture from local warg attacks. Gnomes are an eccentric, multifaceted people. They can be found anywhere, from magical forests to the deepest caverns of the Underdark. Use their eccentricity and adaptability to your advantage! A sinister shadow dragon is interfering with the mining of a gnome city. The aristocrats who run the settlement place a bounty on the dragon’s head: The profits of an entire ruby mine. Svirfneblin and drow are warring in a massive cavern below a surface city. Their battles threaten to collapse the entire subterranean expanse, causing the destruction of the settlement above. You’ve been sent by the city to broker a peace, eliminate one of the sides, or come to some other agreement. A cabal of forest gnome warlocks align themselves with a vicious night hag seeking to open up a portal to the darkest section of the Feywild. You are a deep gnome who was raised by a flock of hook horrors. You are a forest gnome who’s never left the confines of the Feywild. You were born and raised in the wonky plane, and your world, personality, and appearance has been shaped by it. You woke up in a farmer’s barn one day, tattooed, bloody, and without clothes. Ever since, you’ve been chased by lanky shadows with sharp claws. You’re not sure what’s going on, but you need to keep moving. Always. Both races are popular and unpopular for unique reasons. Play those up. 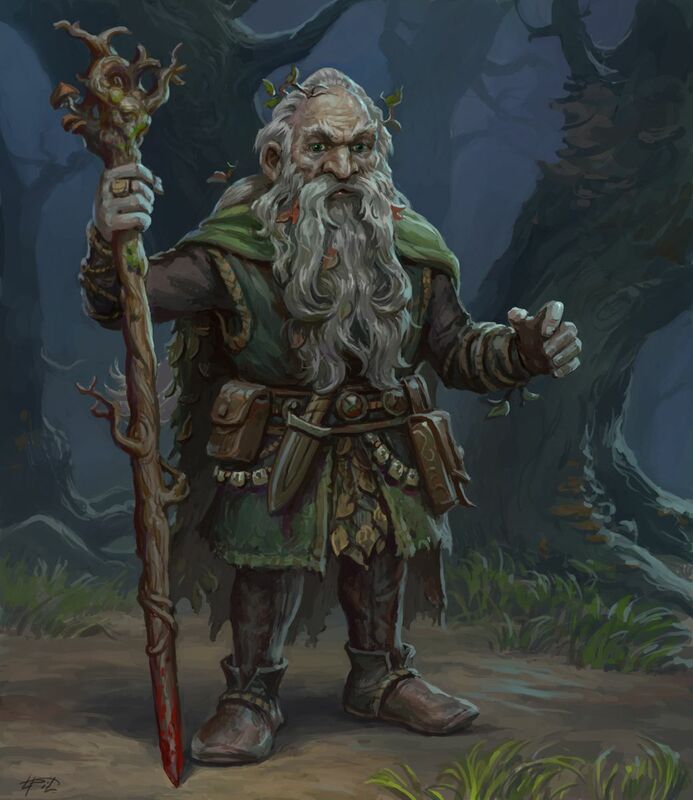 Halflings are a peaceful farming folk and gnomes are a generous multifaceted people. Both of their positions in the multiverse are unchanging and absent of conflict. This is strange. The two short races can be utilized in many ways, ranging from comic relief to a foil of usual D&D societies and peoples. Halfling PCs are especially unusual. Next week, we’ll review Mordenkainen’s Tome of Foes. Afterward, we’re returning to Legendary Lessons and other interesting content I have planned.